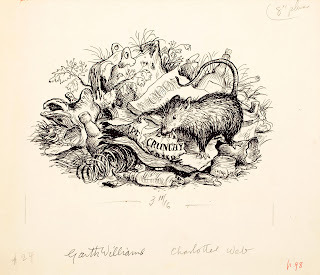 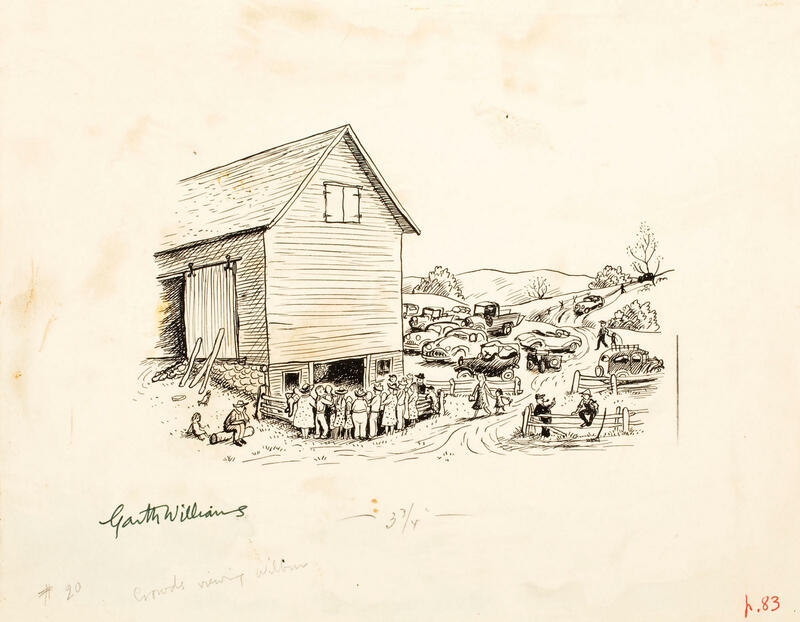 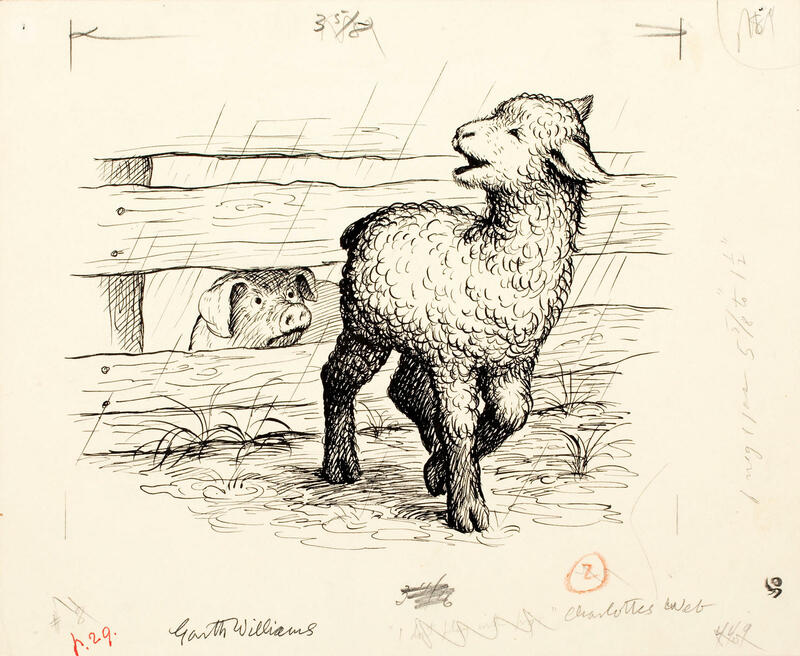 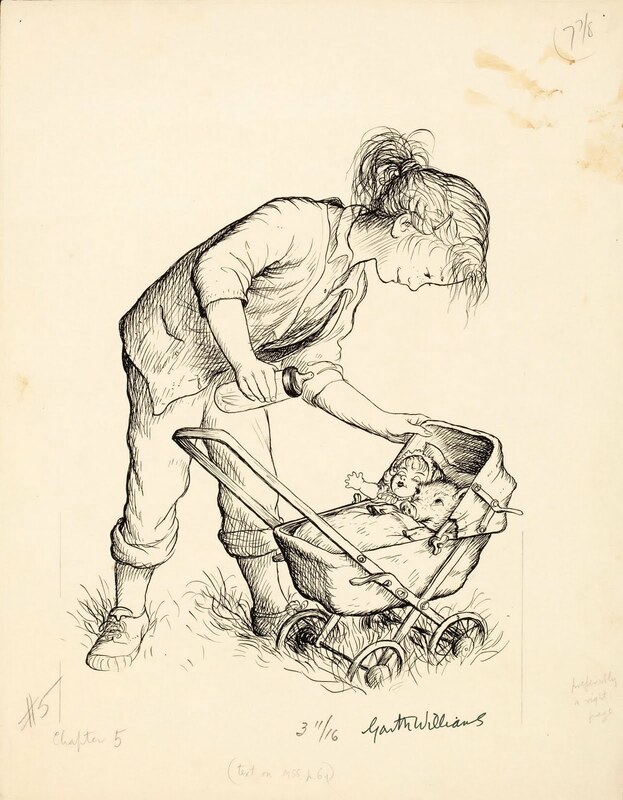 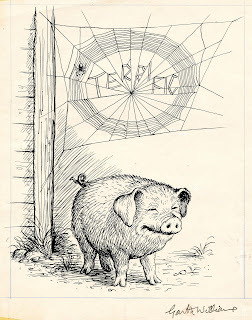 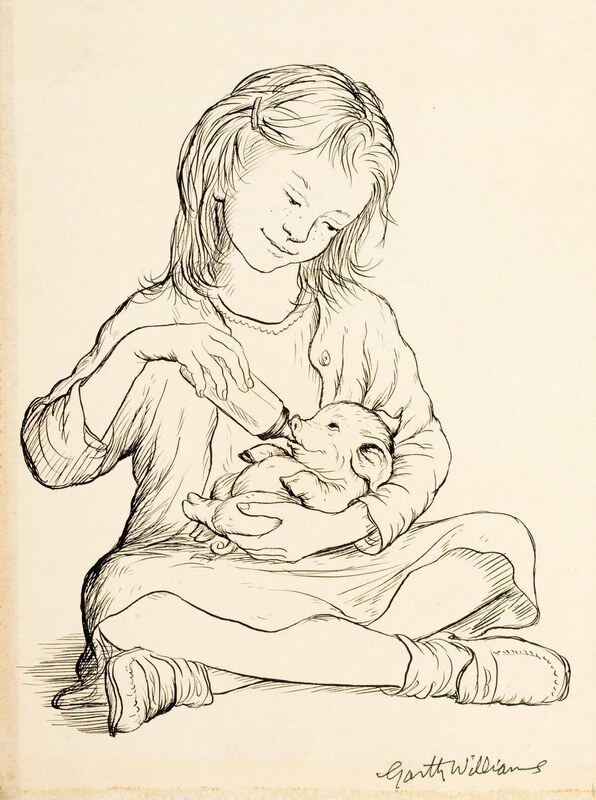 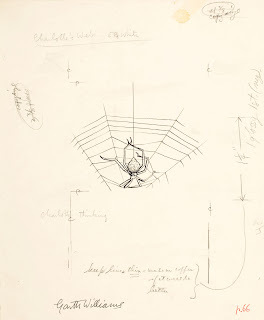 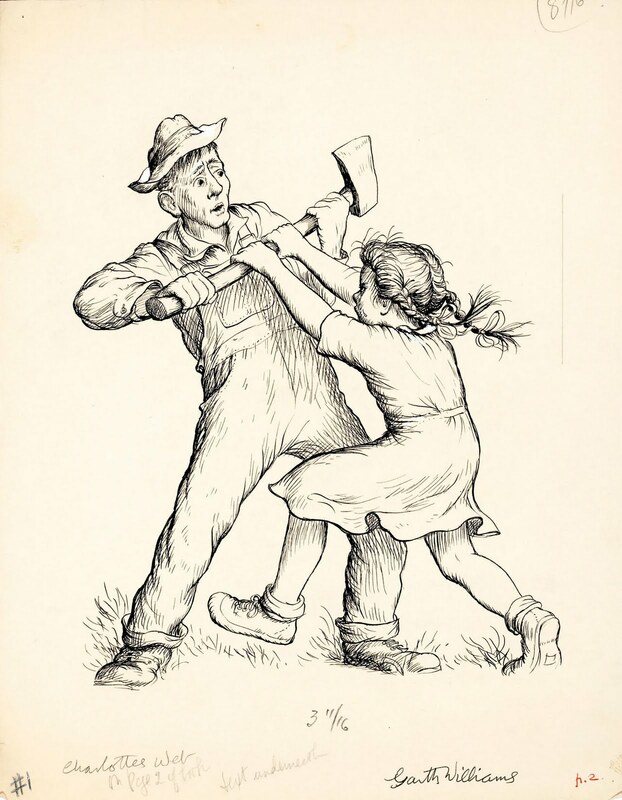 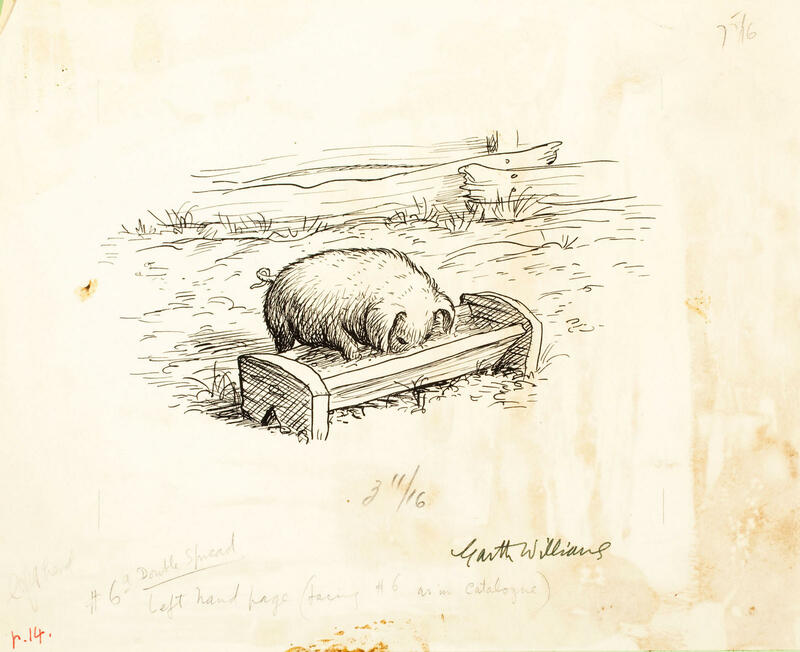 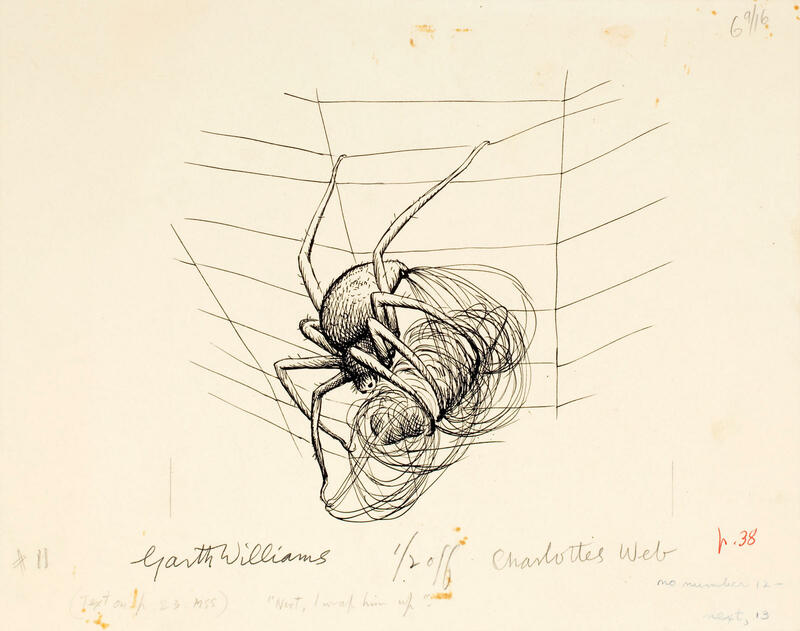 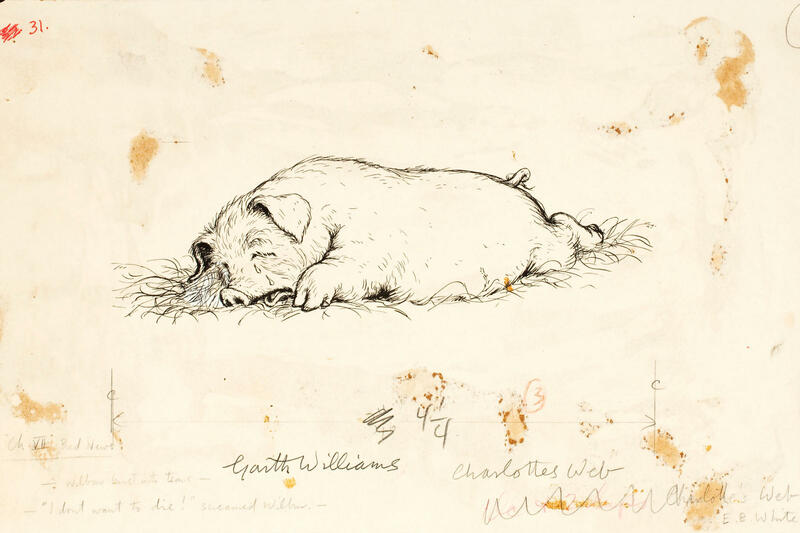 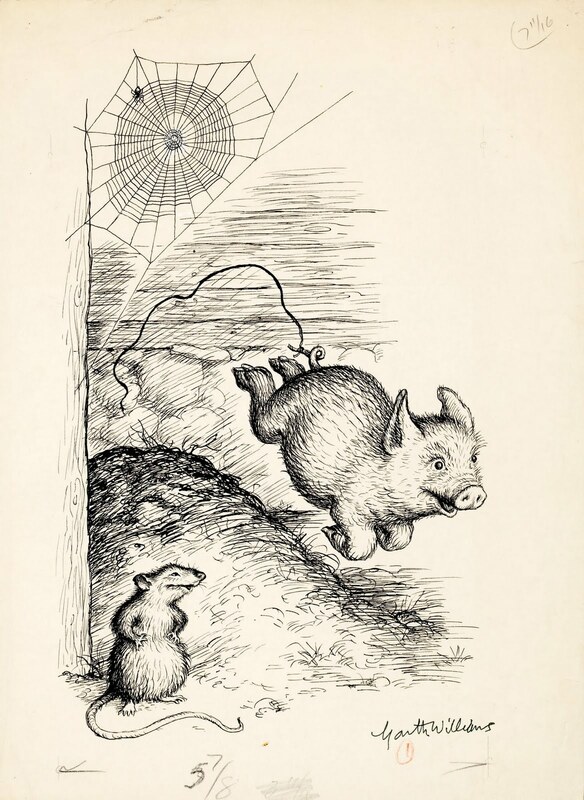 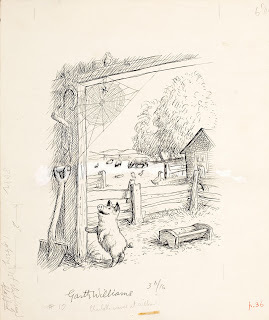 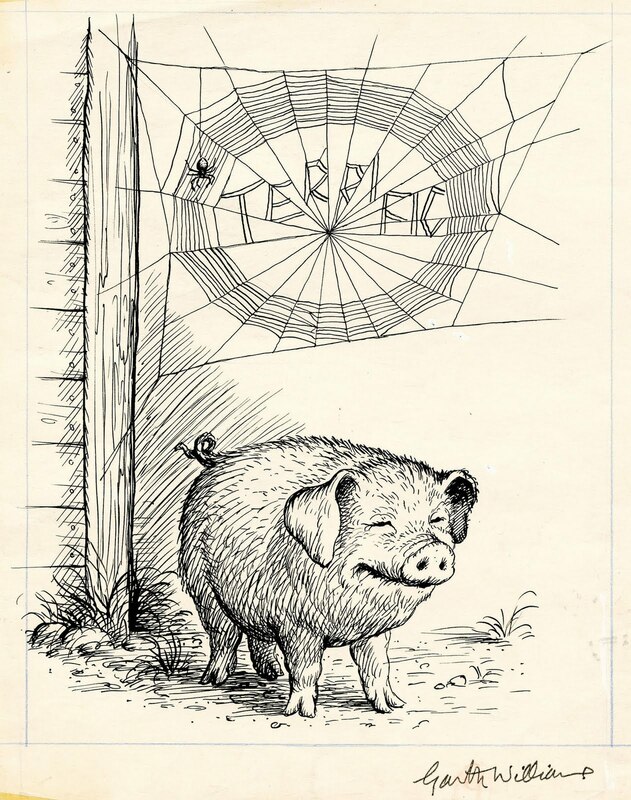 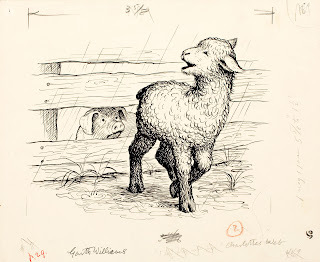 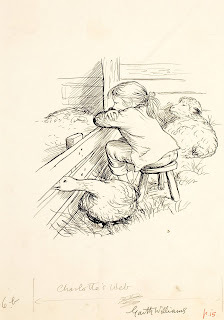 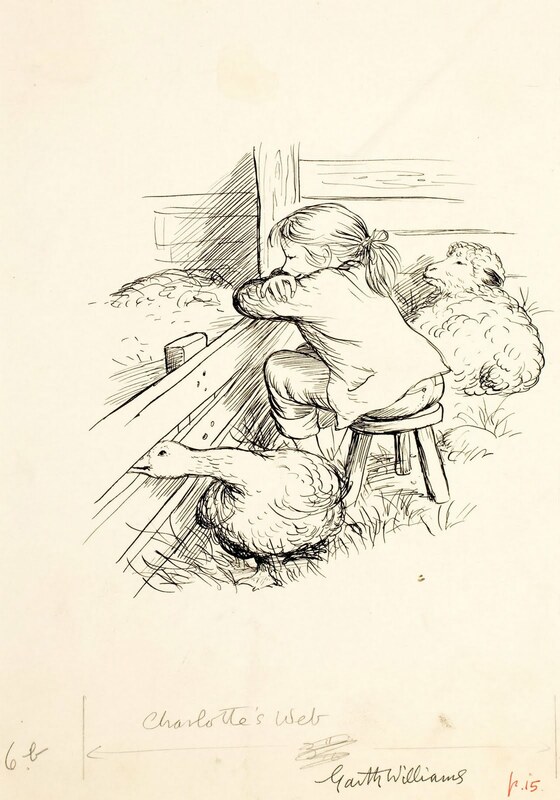 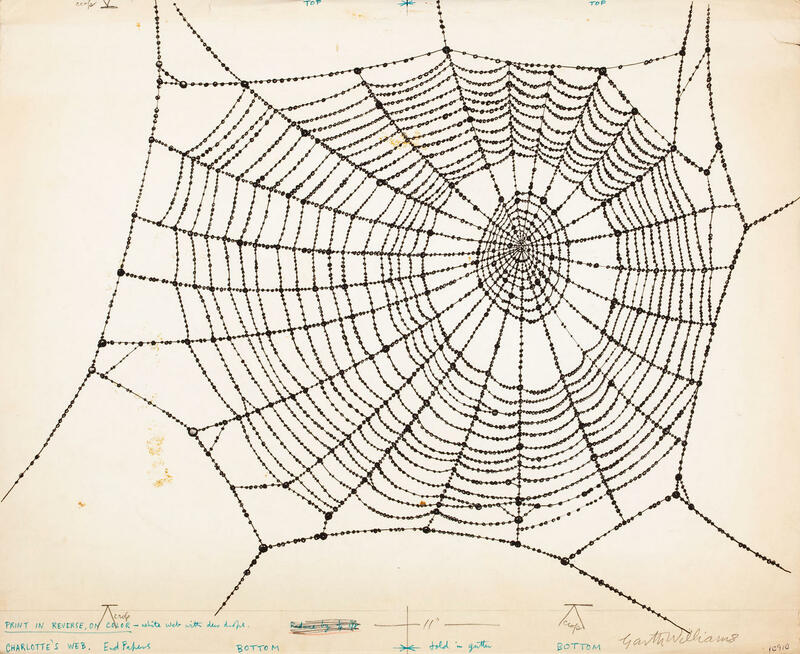 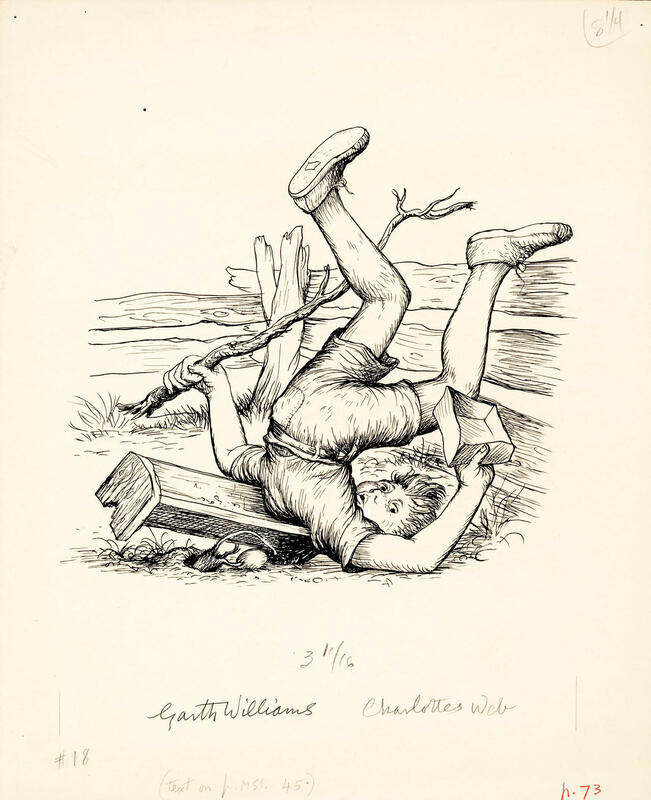 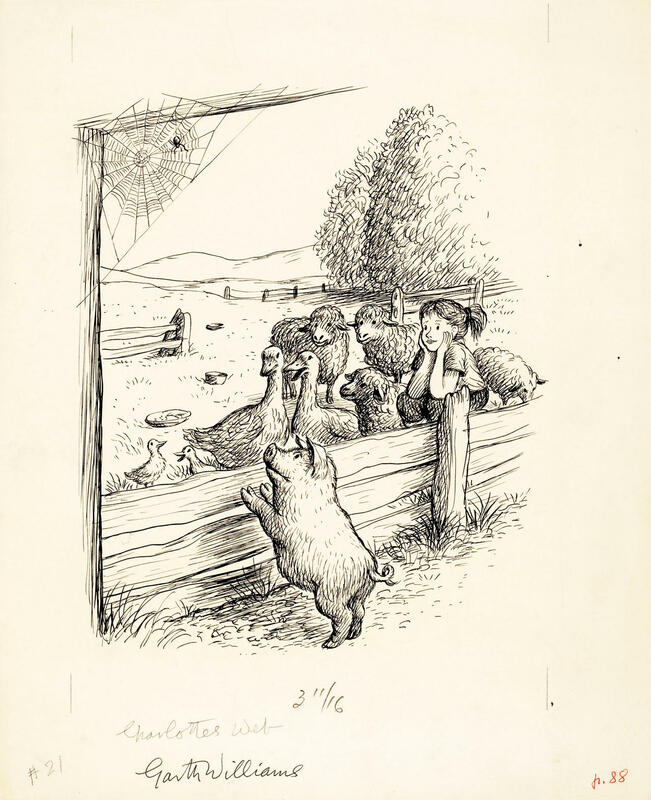 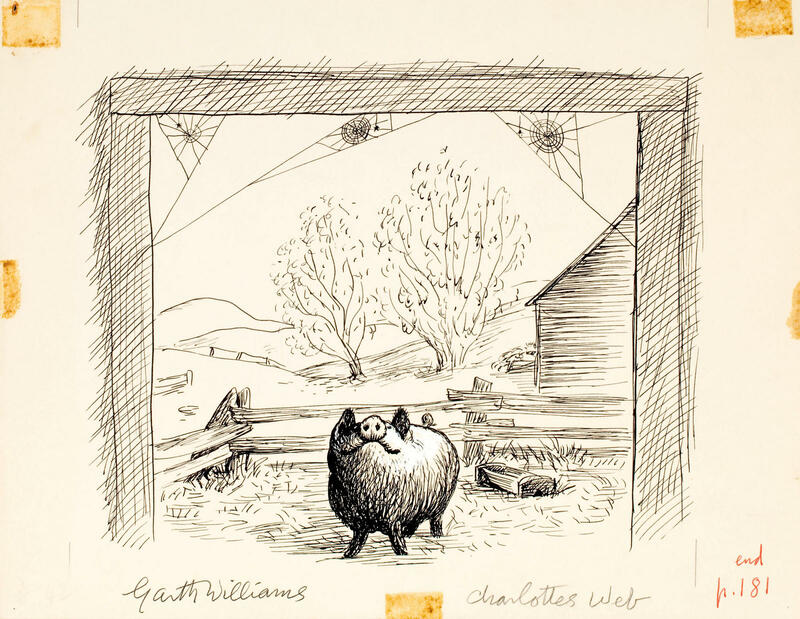 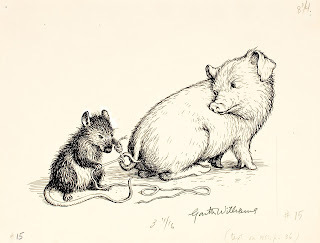 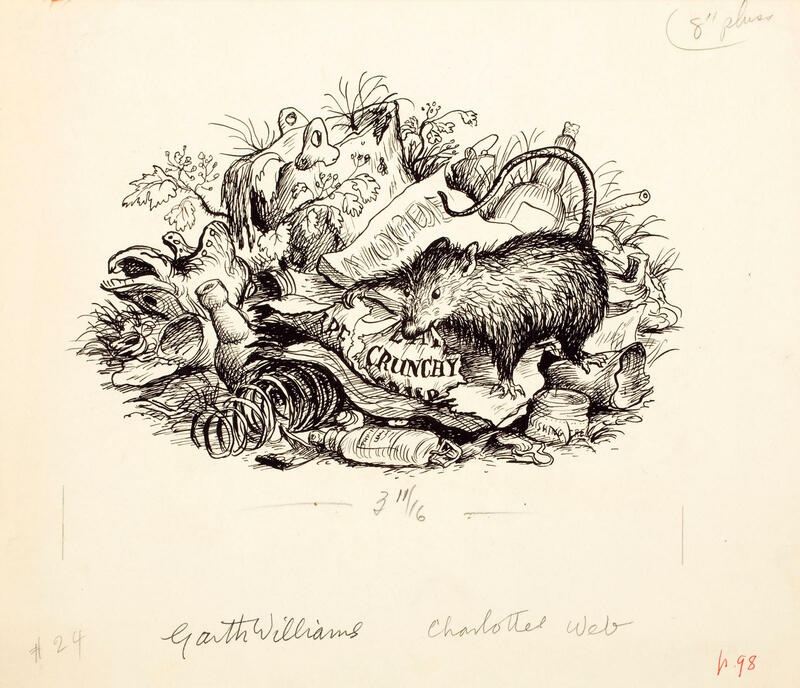 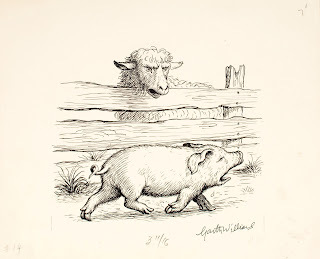 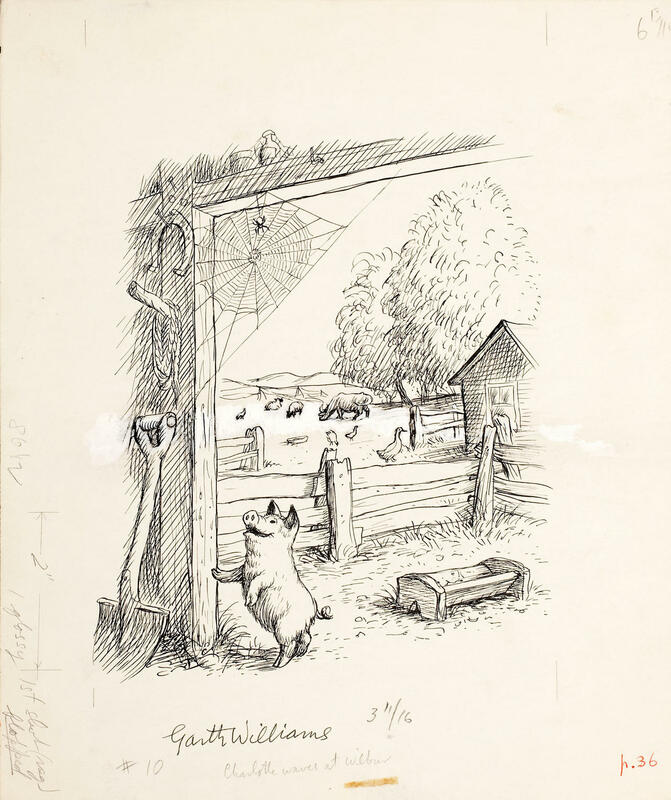 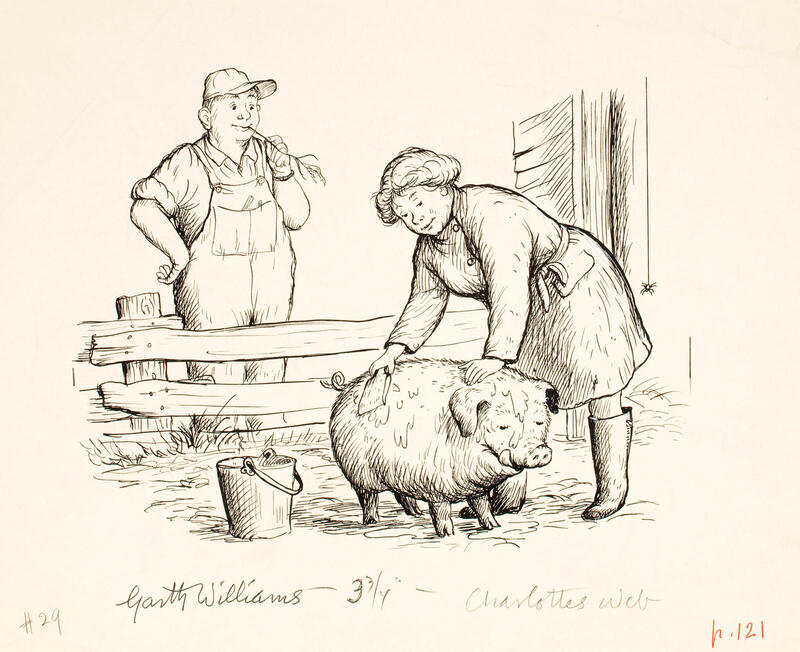 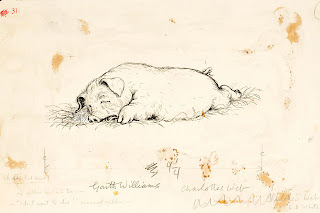 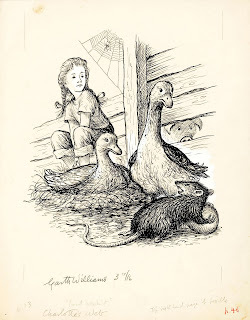 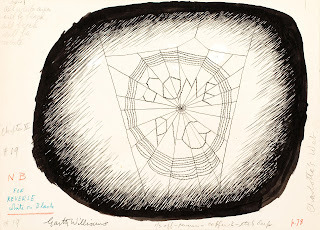 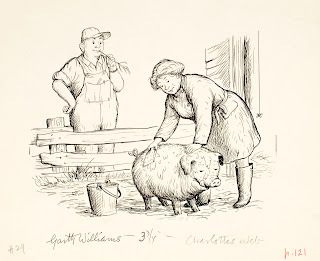 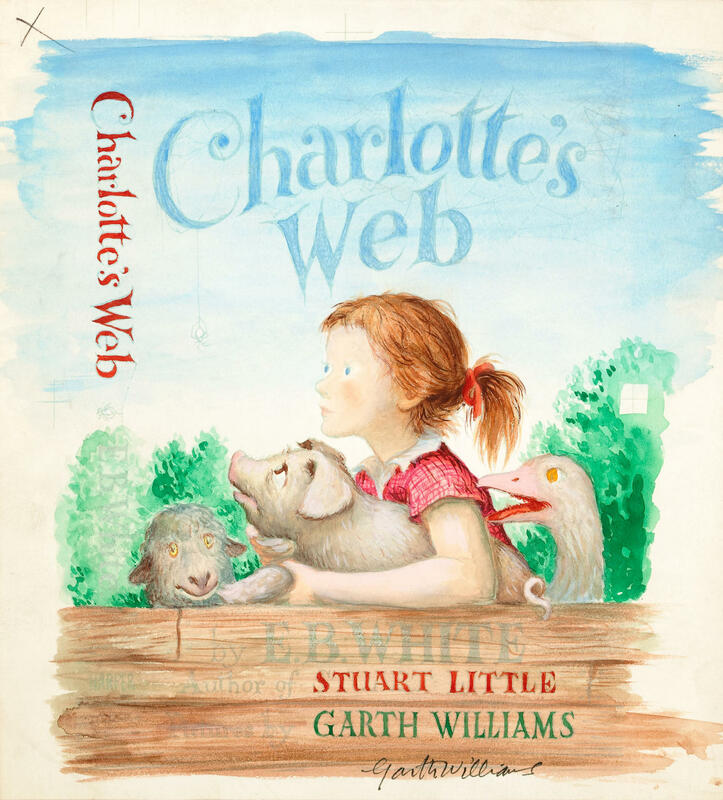 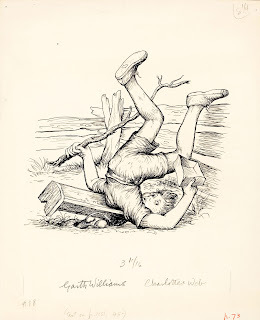 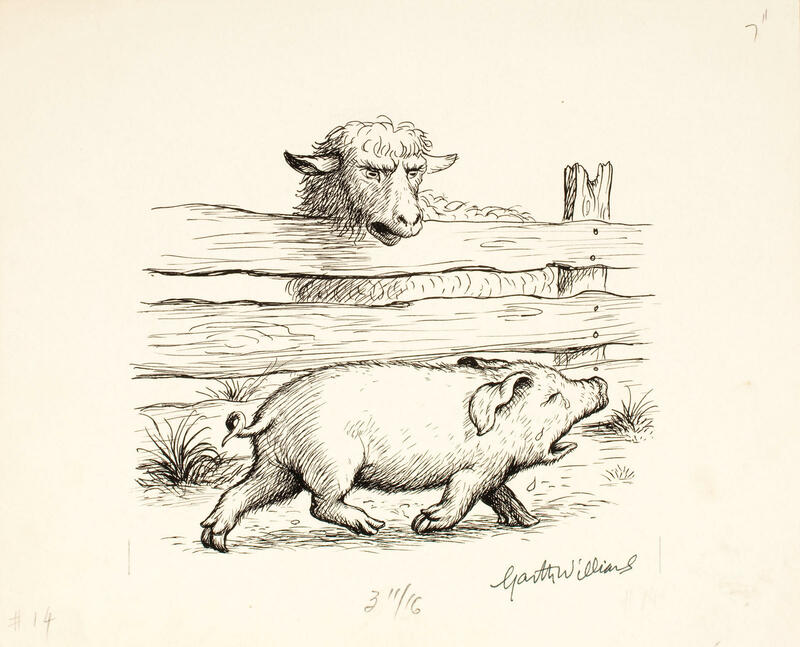 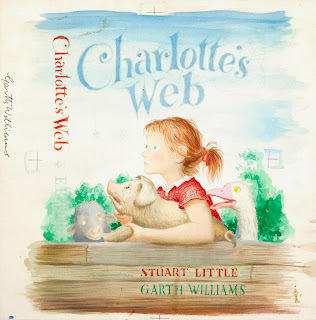 The illustrations by Garth Williams for the children's classic, CHARLOTTE'S WEB, were auctioned off by Heritage Auctions. 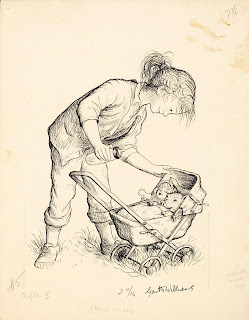 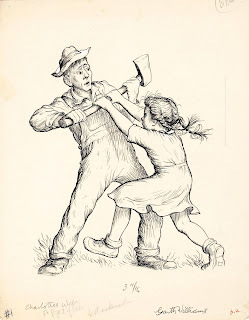 I love these illustrations; which are nostalgic to me. 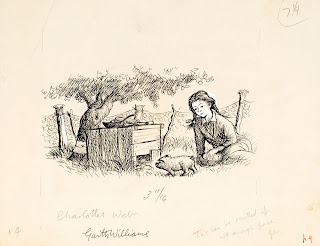 Seeing scans of the original art is inspiring to artists and illustrators, as well as fans of children's book art. I have included the amounts listed as winning bids by Heritage. 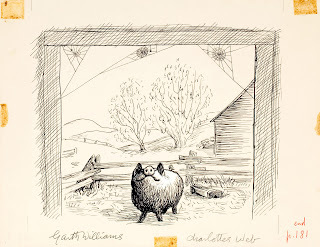 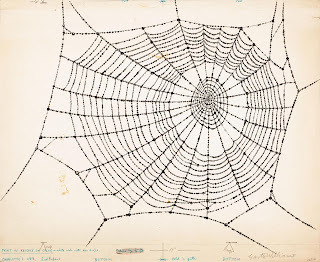 CHARLOTTE'S WEB art copyright © 2011 by the respective copyright holders. 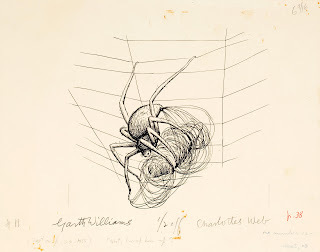 Haven't looked at those pictures in decades, yet looking at them now brought back total recall. 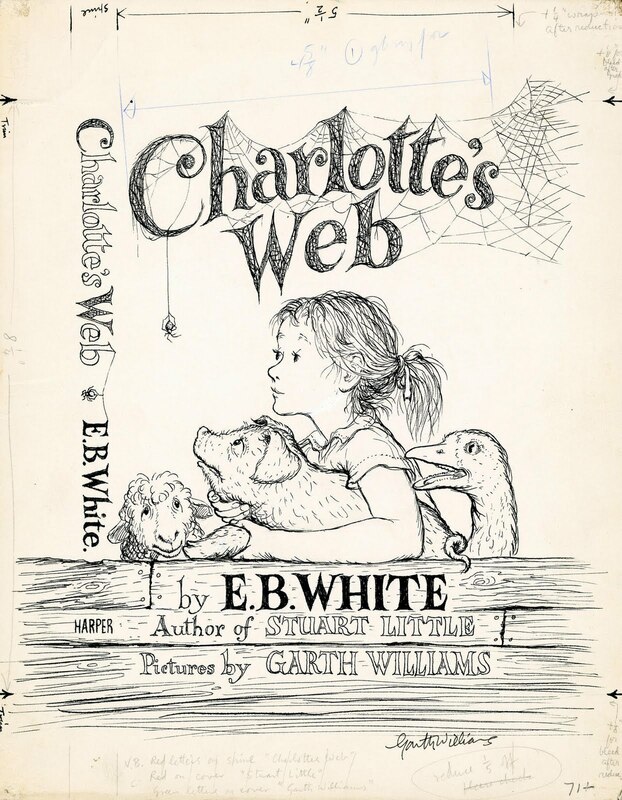 I devoured that book as a kid. 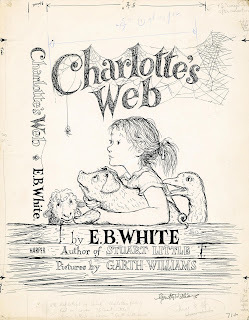 In one of those moments of synchronicity, the day after posting this I was in a thrift store and found a copy of a later edition CHARLOTTE'S WEB, a book I have read, but in a library copy. 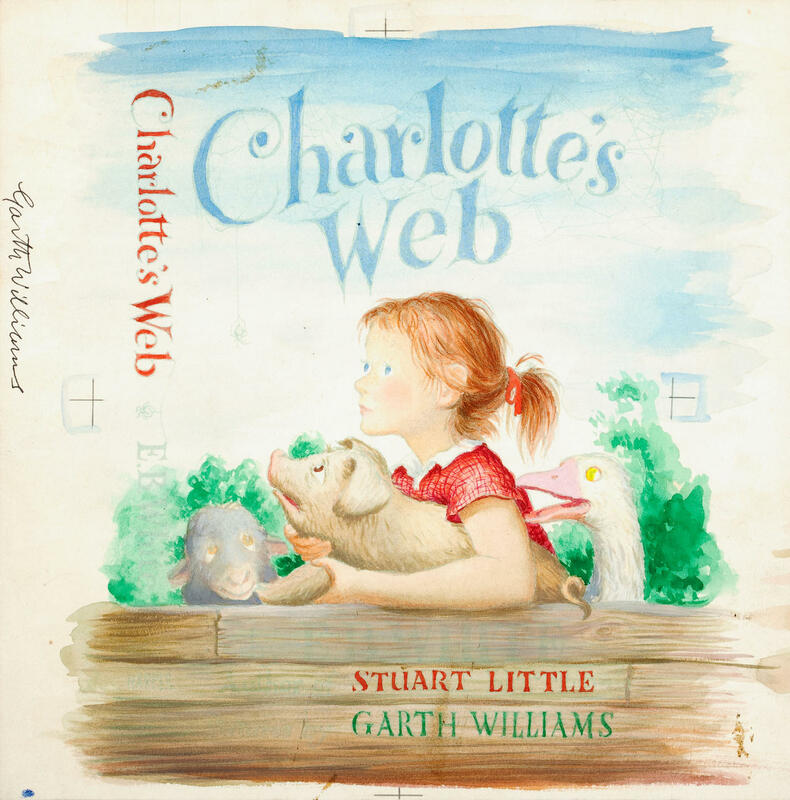 So now I own it.